February 2019 - Howard Employee Services, Inc.
Did you know that as an employer you’re supposed to make sure your employee fills out certain forms? One of those is a W-4. Part of being an employer is making sure your workplace is in compliance with the rules and regulations of the IRS. The purpose of the W-4 is to withhold taxes from an employee’s paycheck each pay period. The amount withheld is determined by the number of withholdings the employee claims. This number takes into account the number of dependents they are supporting. 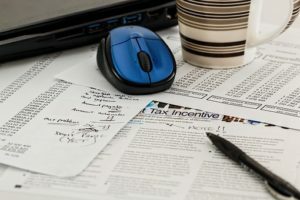 The IRS also takes into account whether or not the employee is filing single or jointly as well as other supporting factors. Employers withhold taxes to help prevent employees from having a large tax bill come tax season. Employees must fill out the W-4 themselves, and employer cannot fill it out for them. If an employee needs assistance filling one out, an employer can direct the employee to the withholding calculator on the IRS’s website. How often is a W-4 Submitted? A W-4 is submitted each time an employee starts a new job, or when a financial situation has changed. Examples of a change in financial situation include a change in marital status, or a change in the number of dependent children. Updating a W-4 in these situations ensures that the proper amount of taxes is being withheld. As an employer, if an employee is having too many taxes withheld, you cannot reimburse the employee, but you can have them submit a new W-4 to have the proper amount withheld. To download the most recent copy of the IRS Form W-4, find it here. Howard Employee Services is a full service PEO, meaning we do this work for you. When you hire a new employee we will provide you with the necessary paperwork to be in workplace compliance with the IRS for your employees. We pass the paperwork to you; you pass it to your employee and send it back to us for filing! Let us do the work for you, contact us today to see how we can help! What Is A PEO, Can it Help Your Small Business?